Specialized Orthopedic Solutions Inc. specializes in orthotic solutions for neck, back, knee, shoulder and elbow therapy. Our patient service representatives work with you and your doctor to ensure your receiving the best products from leading manufactures. We can custom fit orthotics to ensure unsurpassed customer care. As a neutral vendor provider we work with your doctor to ensure your receiving the proper neck brace for optimal support and comfort, two key components for better patient outcomes. By working with several knee brace manufacturers, SOS will consult with your physician to determine the best brace suited for your needs. In most cases our technicians can come to you to evaluate your needs and take the necessary measurements to ensure a proper fit. 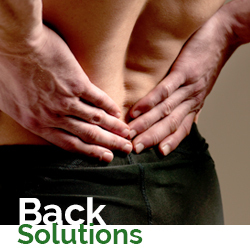 Spinal bracing is a critical component of pain relief, functional mobility, and post surgical stabilization. Specialized Orthopedic Solutions patient service reps work with you and your physician to ensure the proper brace and fitting are provided to ensure improved outcomes. Specialized Orthopedic Solutions works with you and your physician to ensure the correct shoulder brace is provided for improved outcomes. Shoulder joint pain caused by osteoarthritis, or following surgery (postoperative) or injury (posttraumatic) require support in a centered position for improved joint guidance. Many shoulder braces are designed to protect and stabilize the shoulder post-injury and post-operatively. By working with several elbow brace manufacturers, SOS will consult with your physician to determine the best brace suited for your needs. 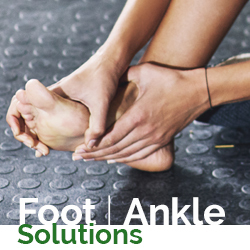 A foot pad or heel insert purchased at your local pharmacy or sporting goods store is an orthotic device. So is a custom-molded, individually designed shoe inserts are orthotics that are intended to correct an abnormal or irregular walking pattern, by altering slightly the angles at which the foot strikes a walking or running surface shoe insert or ankle brace. Orthotic devices like these are frequently used to treat various conditions of the foot and ankle.